Strengthening the abdominal muscles is an important part of maintaining the stability of the spine. This is especially true for people who are overweight, as they may be more likely to develop spinal conditions like chronic low back pain. Fortunately, there are many abdominal strengthening exercises that are easy for individuals who are overweight to perform. HOW TO DO IT: Begin this exercise by lying on your back with your knees bent. Rock your pelvis backwards and flatten your back against the ground by tightening your abdominal muscles. 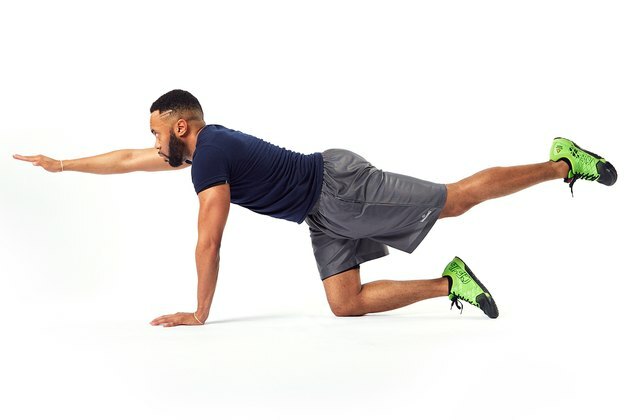 You can advance this by doing a glute bridge. Do not hold your breath while performing and keep your neck and shoulders relaxed. Hold this position for 5 to 10 seconds and then release the tilt. HOW TO DO IT: Stand with your arms hanging at your side and with a weight in each hand. Slowly slide one hand down the side of your leg until it reaches your knee. Do not allow your body to rotate as you side bend. 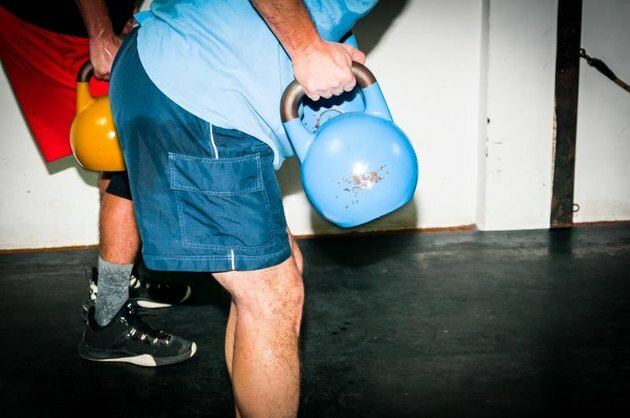 Your shoulders and chest should remain facing forward at all times. Slowly slide the arm back up the leg until you are standing erect again. After completing a full set, repeat on the other side. HOW TO DO IT: Begin this exercise on your hands and knees. Engage your abdominal muscles and flatten your low back like a tabletop. Without tilting the low back or pelvis, reach one arm out in front of you and hold it in the air for 5 to 10 seconds. Return to the original position and repeat the exercise by lifting your other arm in the air one at a time. Progress the exercise by lifting and holding one arm and the opposite leg in air at the same tie. HOW TO DO IT: Lie on your side with your knees bent and your legs stacked on top of each other. Rest your forearm on the ground and bring your elbow directly under your shoulder. Slowly lift your hips in the air without tensing your neck or shoulder. Hold for 5 to 10 seconds and then lower your hips to the ground. After completing a set, repeat the exercise on the other side. HOW TO DO IT: Lie on your back on the floor with your legs resting on a chair so that your hips and knees are bent at 90 degree angles. 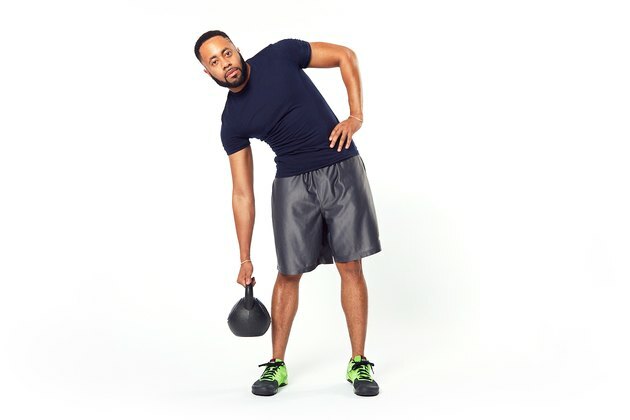 Cross your arms over your chest and slowly lift your head and upper body off the ground. 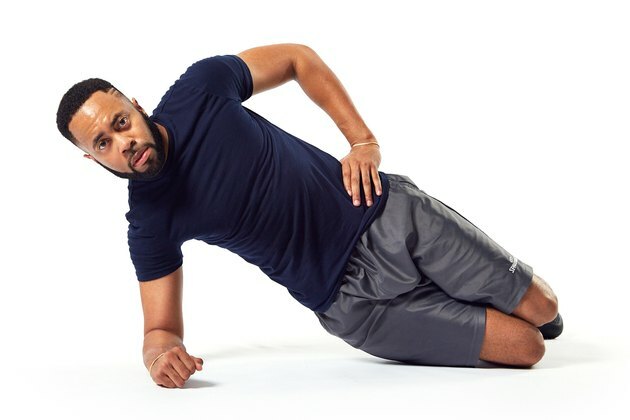 When the bottom of your shoulder blades clears the floor, hold this position for 1 to 2 seconds and then slowly return to the starting position. Avoid shrugging your shoulders or tensing the muscles in your neck while performing this exercise. These areas should remain completely relaxed throughout the crunch. To build abdominal strength, perform two to three sets of 10 repetitions of each exercise. This should be done two to three times per week. None of the exercises should cause pain. Consult a doctor with any questions or concerns prior to beginning an exercise regimen, particularly if you have other health conditions which affect your ability to workout.